flemington tennis club – Tennis: A game you can love for life! Tennis: A game you can love for life! Flemington Tennis Club is a not-for-profit private recreational and social club maintained to provide tennis facilities for the use of our members and promote tennis in the community. Founded in 1927 by returning World War I veterans, the club was incorporated and has been run by a volunteer board since 1962. Pickup games and organized play is available for men and women, boys and girls, both singles & doubles play. The season runs as long as the weather permits, usually from late April thru November. FTC is open from 7 a.m. until dusk 7 days a week. A ball machine is available for personal practice. FTC provides a great atmosphere right in the heart of Flemington with free parking, a shaded pavilion and comfort facilities. FTC offers an opportunity to meet others who enjoy tennis as much as you do. FTC is limited to 100 memberships. 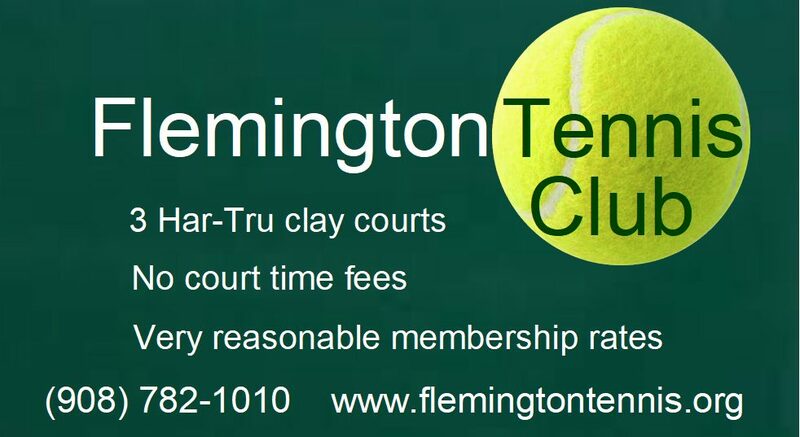 Need more information about Flemington Tennis Club? Here are some useful 2019 Quick Facts for current and prospective members. Here are the FTC rules and regulations, although the no. 1 rule is to love tennis and have fun.